Anmol Chemicals is the pioneer manufacturers of Sodium Acetate, Pharmaceutical Excipients Fragrance & Flavor chemicals in India. 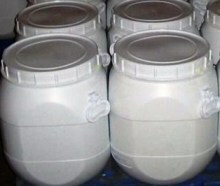 We offer Halal and Kosher Sodium Acetate made in an ISO9001, ISO22000 (FSSC22000) and cGMP certified facility. Our group has several manufacturing facilities spread across the world, supported by toll manufacturers and representatives in UAE, Europe, Africa, USA, China and has several associated manufacturing facilities spread across India. All the Information on Physics, Chemistry, Applications, Uses and Technology on Manufacture of Sodium Acetate is in these pages. Synonyms: Sodium acetate anhydrous; Acetic acid sodium salt anhydrous. May causes mild eye irritation. OSHA Hazards: Not considered highly hazardous by OSHA. Flammability of the Product: May pose a fire hazard when exposed to elevated temperatures or by contact with an ignition source. Products of Combustion: It emits toxic oxides of carbon and acetic acid when heated to decomposition. 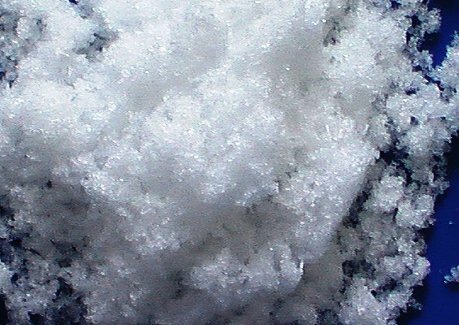 Fire: Sodium acetate trihydrate may ignite at high temperatures. Fire Extinguishing Media: Water spray. Use means suitable for extinguishing surrounding fire. Water spray, dry chemical, alcohol foam, or carbon dioxide. Special Information In the event of a fire, wear full protective clothing and NIOSH-approved self-contained breathing apparatus with full face piece operated in the pressure demand or other positive pressure mode. At high temperatures or when moistened under fire conditions, it may produce toxic or irritating fumes. 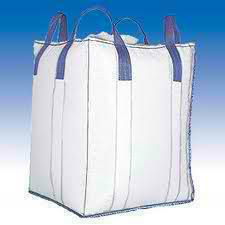 Keep Sodium acetate anhydrous in a tightly closed container, stored in a cool, dry, ventilated area. Protect against physical damage or contact with oxidizing material and combustible substances. Airborne Exposure Limits: None established. Limit. 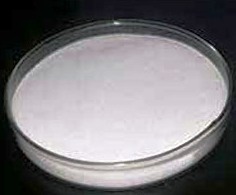 Appearance: Sodium acetate anhydrous white or powder or granules. Solubility: Readily soluble in water. Hazardous Decomposition Products: Emit fumes of acetic acid upon heating and on contact with strong acids. Oxides of carbon are released on decomposition. Incompatibilities: Nitric acid, fluoride, potassium nitrate, strong oxidizers and diketene. Conditions to Avoid: Moisture, Heat, Incompatibles. Routes of Entry: Inhalation, Ingestion, Contact. Carcinogenicity: Not listed by ACGIH, IARC, NTP, or CA Prop 65. OSHA Hazards: No hazard as per OSHA. Section 313: No chemicals are reportable under Section 313. SARA 311/312 Hazards: Not listed. TSCA: CAS# 7727-21-1 is listed on the TSCA inventory. California Prop 65: This product does not contain any chemicals known to State of California to cause cancer, birth defects, or any other reproductive harm. This product has been classified in accordance with the hazard criteria of the Controlled Products Regulations. CAS# 127-09-3 is not listed on Canada's Ingredient Disclosure List. Our company provides this MSDS sheet in good faith but makes no representation as to its comprehensiveness or accuracy. This SDS sheet is intended only as a guide to the appropriate precautionary handling of the material by a properly trained person using this product. The above information has been compiled from various sources and has the possibility of discrepancy and being out-dated information. Individuals receiving the information must exercise their independent judgment and do further search in determining its appropriateness for a particular purpose. In no case shall our company be liable to loss or damages by the product user.